Apartments are in a great location and are nice inside. However the office will never return phone calls and often loose packages. The grounds are not maintained and if something is broken it will stay broken. The fire alarms have been broken for the whole year and 3 months I have lived here and often go off during the middle of the night. So good so far. I have been here for a little over a month, and have had no issues. Hallways are a little cold, but amenities are nice and there are bars/restaurants everywhere. Thanks for your 5 star review, Myles! We are glad that our location suits your lifestyle and are ecstatic to have you as a resident! My space is great but the community has poor upkeep. Broken doors, fire alarms, dog waste bags, overall upkeep are all a constant issue. The pool is very small and is not regulated so when 2 people bring 20 friends you can’t use the space. Hello Taylor, thank you for your feedback. It is very important to us that our residents are satisfied with our community and amenities. Will you please call or email the leasing office so that we can discuss your specific concerns? We look forward to speaking with you. Been living at Uptown for 1 year. Good experience. Wish the gym was kept in better shape. Many leaks and equipment falling apart. Maintenance does quick jobs fixing apartment issues. Constant Fire Alarm issue is a bit obnoxious. Overall, positive experience! Hi Anthony, thanks for the very generous review! We're on top of the fitness center and fire alarm issues and we will stay ahead of them as best we can. We appreciate you! Samantha, we love having you as a resident. We're elated to hear that your problem was fixed quickly and to your satisfaction. Have a great day! I have really liked all the other residents I've met, but I wish there were more activities or event to meet them at. I have gone to some of the events in the leasing office, but those are not well-attended and have felt a bit awkward. Could we consider a rooftop party? I cat meet-and-greet in a courtyard? Thanks for the 4.5 star review Jennifer! We appreciate your feedback and we will be doing more resident events in the courtyards and on the rooftop once the weather gets a bit warmer. Thank you for attending our previous events! There is a lot of dog poo in the courtyards and the doors are easily broken into. The cleaning ladies don’t clean very well. Apartments are nice but could be better. Thank you for the 4 star review Corben! We value feedback and reviews like yours help up to improve our community. If you have any additional concerns please contact the leasing office at your earliest convenience. The neighbors are loud and the hallways are always dirty. There is a lot of vandalism and people do not clean up after their pets. The elevator and hallways constantly have animal messes that are just left for someone else to deal with. Hi Emily, thank you for sharing your experience with the cleanliness of our community. We are working to improve the cleanliness and the accountability of pet owners in our community. Your feedback will help us make a difference. Will you please give us a call or come by the office to discuss your specific concerns? We look forward to speaking with you. Great bang for your buck. Great location providing great walkability. The units are nice and the hallways are fairly clean. The only issue has been that the fire alarms go off on a regular basis. Hi Jake, this is what we like to hear! Thanks for the great review. Thank you for the generous review Christine! We appreciate the kudos for our team. 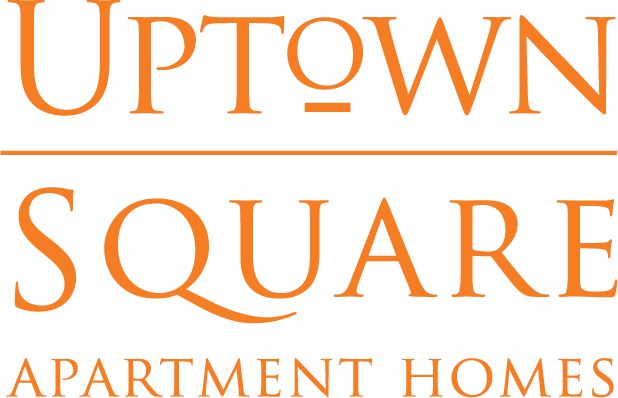 I love living at Uptown Square—perfect location and nice amenities. Living near (and above) the retail options is wonderful; I also love the fitness center and pool facilities. Hi Kristin, thank you for your 4 star review. We are working on a package notification system as we speak. Stay tuned for updates and thank you for being a great resident! Love this place. Everyone is really nice and helpful. If you have an issue with something they take care of it ASAP and the security is always walking around and making sure everything is safe! Dustin, thanks for the amazing 5 star review! We appreciate you! Great location and looks nice from the outside; however, that's where the good aspects end. Rent is barely cheaper than surrounding complexes, but the quality is way lower. Hall's are always dirty, exterior doors seem to break frequently, dog waste stations are frequently unstocked, there is always dog poop everywhere, appliances are garbage, maintenance rarely actually fixes reported problems, it's always quite a hassel to get packages that were delivered to the office. The list goes on and on. I'd go into detail, but this is the millionth survey a management company has asked me to give and nothing has changed the other times. It was super easy and strait forward. Plus all of the stuff I can get rewards for is stuff that I use all of the time anyways. Pretty much free money! Thank you for the great review Trevor! We appreciate you! I enjoy living here but the fire alarms are constantly going off and it is extremely loud. It scares pets and then all of the dogs get riled up and start barking as well and it always goes off at really bad times like 2 a.m and people need to work the next day. Hi Heather, thank you for your feedback. We have made considerable changes to try to prevent the fire alarms from sounding at inconvenient times and/or sounding at all. Unfortunately we don't always have control over them sounding but our maintenance team and fire alarm vendor are here every time they go off to stop them from sounding and to fix any issues as quickly as possible. We will keep working hard to improve this part of your experience at Uptown Square. So far I love living at Uptown Square. The location is so convenient and near so many restaurants and activities. Also close enough to downtown without hearing all the noise and traffic of downtown. Staff are all super friendly and happy to help with anything you need. What a great review, Amy! We are thrilled to see that our team has been helpful and friendly to you. We appreciate you! Great experience with Uptown and its amenities thus far! Maintenance has always been attentive and timely. Spacious apartments and options for all lifestyles. Katie, we are ecstatic that our maintenance team is attending to your requests promptly. Thanks for the pat on the back for our team! Hello Tyree, thank you for your feedback. We are currently working on a new package locker and notification system that will hopefully be implemented in the coming months. Also, will you please call or email the leasing office at your convenience to discuss your air conditioning situation? We would love to find a resolution to your issue. Overall good. Need to fix the fire alarms and repair a few things like the washers and dryers. Need to figure out a better solution for our packages. Hi Niko, thank you for your review. During our community renovation we will be installing new washers and dryers in the common laundry rooms and we are currently working on a new package locker and notification system that will hopefully be implemented in the coming months. Stay tuned for more information on both of these topics. Thank you for your feedback Justin! Reviews like yours help us to improve our customer service. We are currently working on a new package locker and notification system that will allow you to pick up packages 24 hours a day and hopefully this system will be implemented in the coming months. We appreciate you! Love living here! Paying rent is sometimes difficult with the portal being down or it not always including utilities, but besides that everything is great! Thank you for the 4 star review Samantha! We are currently working on a new package locker and notification system that will hopefully be implemented in the coming months. Stay tuned for more information! These are the only apartments where I have been happy enough to renew my lease with. I have been living here for almost three years now and I love it. Great location, affordable, and very friendly and helpful staff. Jamie, we like having you as a loyal resident. Thanks for the pat on the back for our team. We are all doing a happy dance out here! I love my neighborhood and the complex in general. Excellent location to many fun restaurants, bars, venues, etc. My only complaint is the fire alarms that occasionally go off. However, it seems like the staff works really hard to get those under control. Hi Mary, this is what we like to hear! Thanks for the great review. Uptown square is a well managed apartment complex located in a very fun neighborhood surrounded by great restaurants and services. The apartments are well maintained and the staff is very friendly. Hi Jason, thanks for the very generous review! We're on top of the fire alarm issues and we will stay ahead of them as best we can. We appreciate you!